Beyoncé's "Formation" was an unapologetic call to slay. 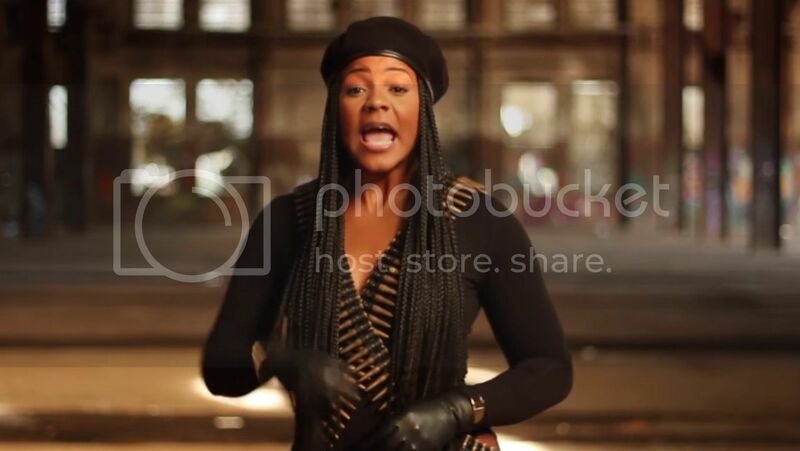 Ernestine Johnson took Queen Bey's rallying cry a step further by reinterpreting the song as an explicit demand for solidarity among Black women and girls. Dressed up in a Black bodysuit and bullet vest reminiscent of what Beyoncé wore to the Super Bowl, Ernestine underscores the importance of collaboration. "If I could talk to my 10 year old self, I would tell her not to be jealous or envy," she rhymes. Flanked by little natural-haired girls, she declares that everyone has their strengths, so the key is working together.